You'll be £4.99 closer to your next £10.00 credit when you purchase Memories of an S.O.E. Historian. What's this? Michael (MRD) Foot enjoys the rare distinction of being the only person referred to by his real name in a John Le Carre novel. A highly significant tribute to the man entrusted with writing the official record of the Special Operations Executive. He authored first (1966) the History of SOE in France and twenty years later the highly sensitive accounts of SOE operations in Belgium and Holland (which the Germans infiltrated with disastrous results). With his own war service background and academic reputation MRD was an inspired choice for these historic tasks. He was fearless in pursuit of the truth and in thwarting bureaucratic attempts to muzzle him. His war exploits make thrilling reading. His behind-the-lines mission to track down a notorious SD interrogator went badly wrong and he only just escaped with his life. His career has brought him into close contact with an astonishing cast of characters and his tongue-in-cheek account of academic life makes lively reading. 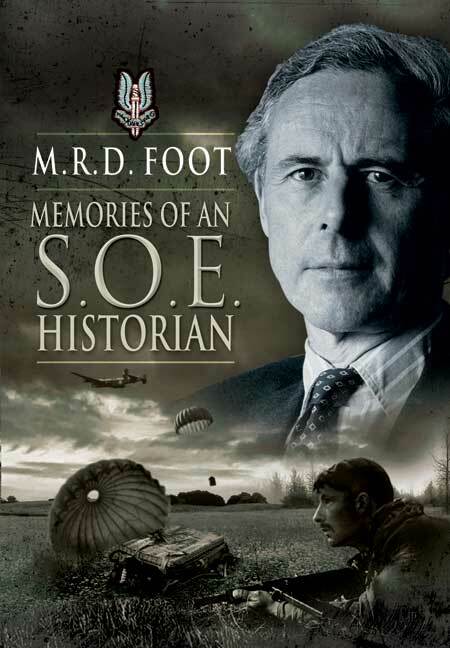 Professor MRD Foot CBE, sadly passed away in 2012 but still remains a highly respected figure, whose knowledge of secret operations remains unrivalled. He regularly reviewed works in the Spectator and TLS.